We fished an arsenal of rivers, lakes and species in 2017. When everything is fishing well, we almost have too many fishing options available. Imagine trying to decide whether to fish for 25 pound pike on the surface, fresh sea lice covered salmon near the coast, hiking small creeks for arctic char in the mountain lake streams, rainbows and dollies on the Nushagak, Agulapak, Kvichak, etc., or a mixed bag grayling, lake trout and rainbows on our home river. That’s the dilemma our guests must face each day. By hosting just 10 – 12 guests per week, we have the flexibility to go where the fishing is the best for what you want to fish for, not where a pre-determined schedule needs you to go. Additionally, we have bear viewing, hiking, and kayaking options for those who would like a change of pace or just need a day to rest a sore fishing arm. 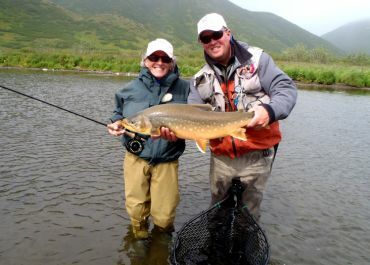 Why fish the Royal Coachman Lodge in Alaska? How many fly out lodges in Alaska take only 10 guests a week? We enjoy small lodges, and I think you will also. You get to know our crew, between fishing all day with us and eating dinner together, they become more your friends than just your guides. The better we know you, the better we can address your fishing expectations. Our fisheries are uncrowded. You'll have the river all to yourself. We focus on a wilderness experience, and strive to fish areas no one else does. 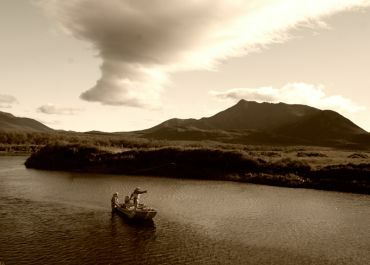 We carry 9 different permits and leases to ensure that you will have outstanding fishing and the wilderness experience that has become so rare in many parts of Alaska. 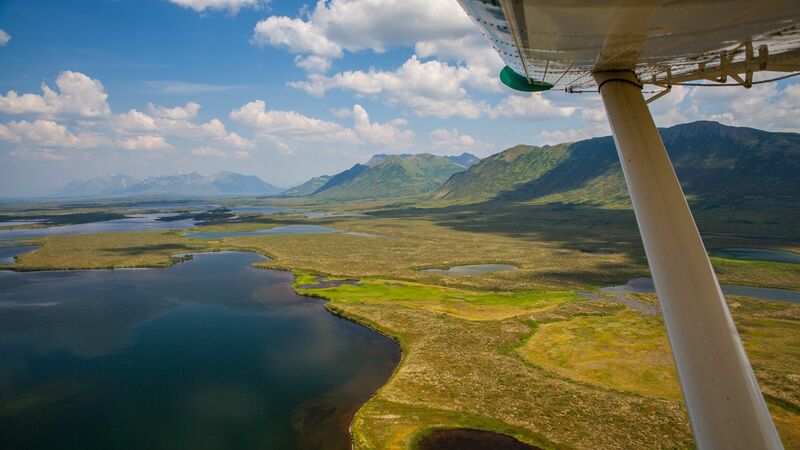 We fish the Togiak National Wildlife Refuge, Wood Tikchik State Park, and Katmai National Park. Our guide staff is the best our guests have fished with! This is the most common comment on our guest critiques at the end of the week. Just to give you a feel for the staff, our guide staff averages over 12 seasons of experience. 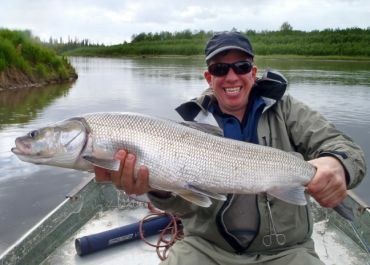 Scott Schumacher our manager and guide has been guiding in the Bristol Bay area since 1987. We go where the fishing is the best. It has taken decades of fishing in this area to master the timing of each fishery. We fly and fish an area that is 250 miles across. With the combination of 25-30 fisheries and our local expertise, you will have the best fishing possible (and probably of your life) no matter when you come. We sit down with you every night and make sure that your next day of fishing meets your expectations. With only 10 guests, and so many great fisheries, it’s impossible to fish them all in a week. You will want to come back! We have a variety of fishing. We catch 12 different species of sport fish during our season. Whether you want to sight fish for King Salmon, throw a mouse pattern to a 25 +lb pike, drift fish for big rainbows, or catch a rare Sheefish, we can do it. Every day will be a different experience. We want you to talk with our guests. Anyone can give you a reference, but we will give you a reference from this past season who fished the exact week you are considering. We do not need to hand pick our references. With over 90% of our clients being repeat guests or word of mouth referrals, you can see why we are confident. We are the only lodge on the Nuyakuk River. The Nuyakuk is our home river. Our lodge sits on a grand-fathered property in the Wood Tikchik State Park. We have a class 5 rapid above and below our lodge, and no roads within 60 miles. You can only get to our lodge by floatplane (not by boat or car). This means that, if the weather prohibits flying, you will still enjoy great fishing. It also means that when you are sitting at our fire pit looking over the river watching the sunset, you will never see another boat go by. After such a successful 2017 season, we are already almost booked for this summer. All indicators point to another great year in 2018. We still have prime openings available, but with our smaller size, they fill faster than most lodges. Don’t wait to contact us if you’re interested in fishing Alaska next summer. 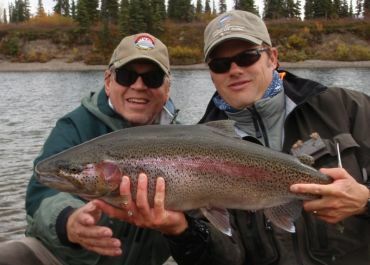 Come to one of Sweetwater Travel's Alaskan lodges and find out why anglers from around the world come to fish with us. At our lodges you’ll always receive attentive and friendly customer service, great food, comfortable accommodations and superb fishing. 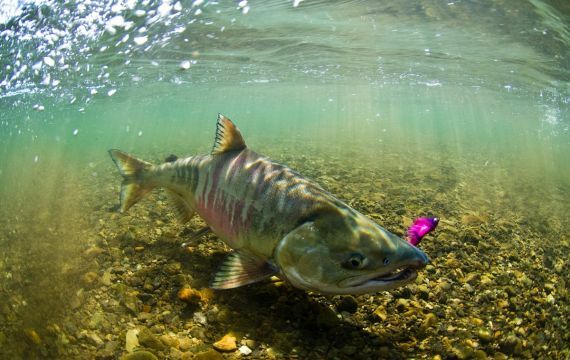 Help Save Bristol Bay! If you make a donation to Trout Unlimited for the Pebble Mine fight it will be quadrupled. Email Pat at pat@sweetwatertravel.com for more information.